Sport's FIFA is the place to be. EA Sports games on the G/MD were simply better than the SNES counterparts. 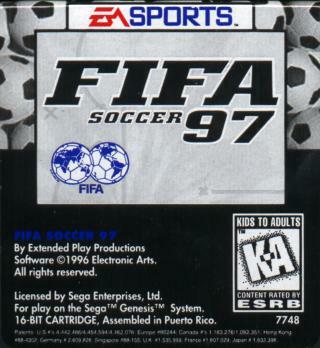 Look at Fifa for instance..
With the arrival of 95 (or was it 96) you could play national competitions. This was the first time I could play with my club. I repeat: MY club! Alright, the names were fictive and the jersey's didn't match but it was Vitesse Arnhem for real... Go check that out! Enuff sentiments.. This is one of the games that really started it all for the EA Sports Empire. For some reason, Megadrive football/soccer games have never quite cut the mustard. 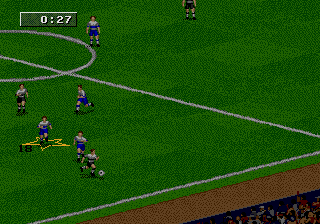 Maybe its because I've been treated by the graphical lovely-ness of FIFA on PSX, but as I still find Sensible Soccer playable, I doubt it. The game is basically a overhyped game with limited-play value. 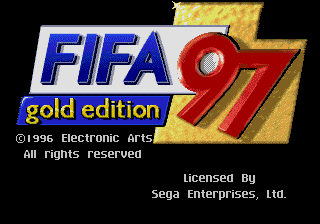 The game (FIFA '95 at least) is virtually unplayable from my experiance. I had alot more fun with Sega Soccer/Italia '90 and if you've read my review, that's saying something. Not recommended. I don't know what the last guy was talking about but this series was the best soccer series that I played on the Genesis. I still play this game occassionally and I am not much of a soccer fan. 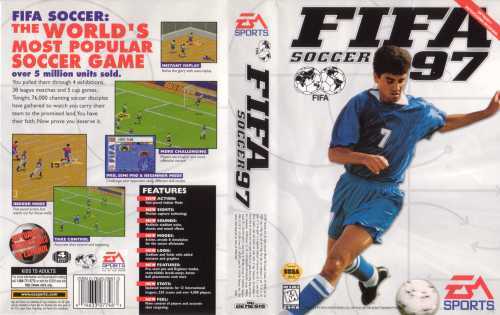 Back then EA just knew how to make sports games. I own the first one FIFA Internatonal Soccer. I never played the latter versions but I had fun with this one. Gameplay 9!! At the time, It was the best soccer game out there, for those of us who live in countries that soccer is the No. 1 sport, I think we can still have fun with this game, awesome sounds and graphics, if you're not a true soccer fa, don't play it. Fifa 97 is absolute quality, no one can beat the graphics!